Everyone who donates $10 to the charity’s website before July 1 is automatically entered to win a chance to be flown to the set of Episode VII, where they will meet the cast before likely being dressed up as some sort of alien, and probably thrust far into the background behind characters who actually matter. Nevertheless, you will technically “be in Star Wars,” with all the decades of lucrative convention appearances that promises. 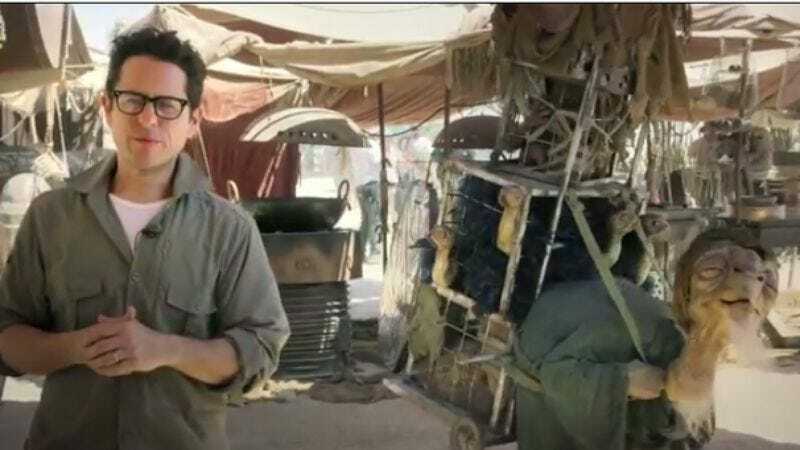 As an example of what you can expect, this video from the film’s Abu Dhabi set—the first, non-sand-covered-clapboard look at the new Star Wars—features a grim, hunchbacked creature stumbling into frame behind Abrams, saddled with a cumbersome pack of chicken-like things. That could be you!